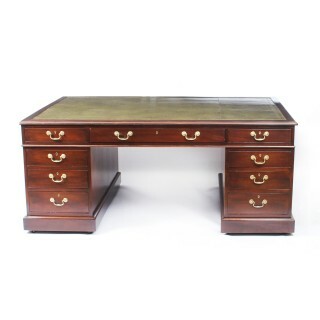 This is a beautiful antique George III mahogany partners desk by Thomas Willson, of 68 Great Queen Street, London, circa 1820 in date. 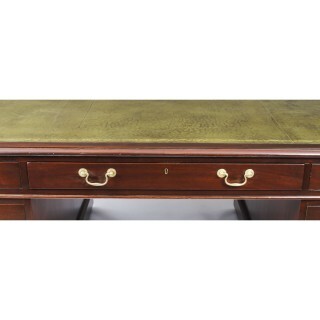 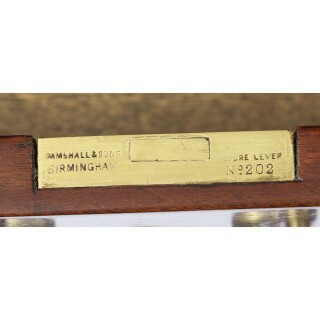 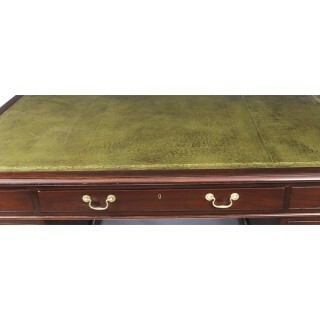 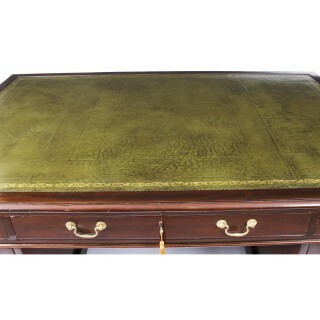 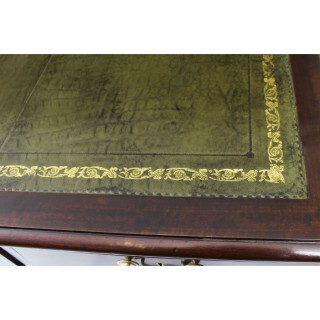 The rectangular top features an inset gilt tooled green leather writing surface above three frieze drawers on each side. 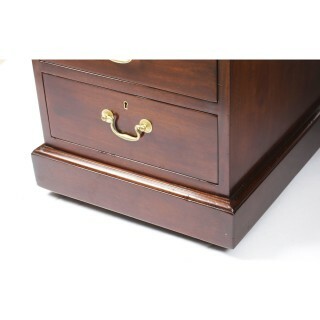 Each pedestal has three graduated drawers on one side and a panelled cupboard door on the other. 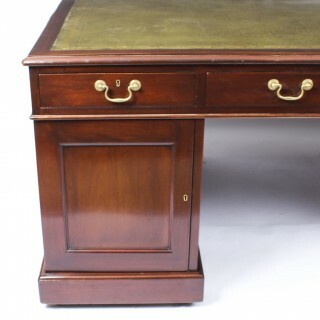 The desk is raised on plinths with inset castors. 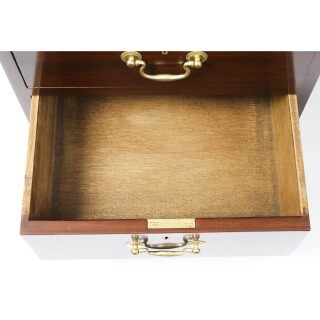 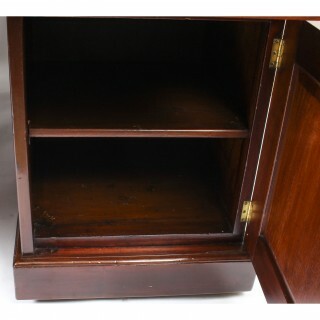 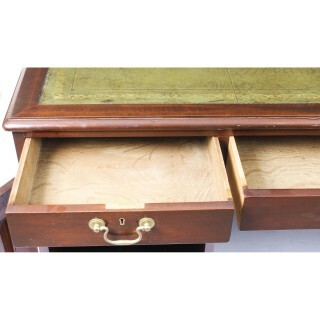 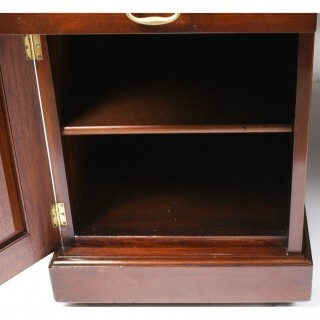 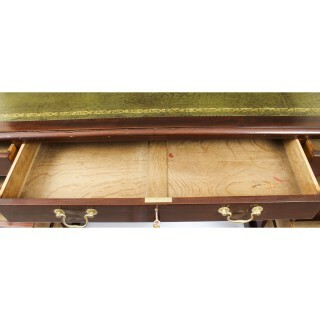 The drawers are lined in solid oak and are fitted with working locks and keys. 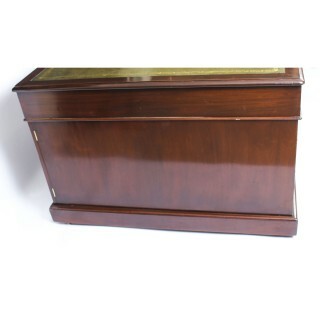 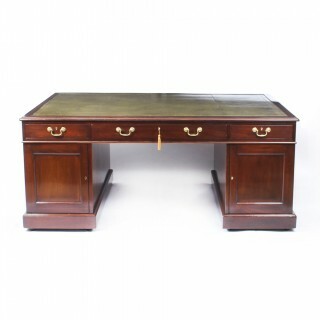 Instil the elegance of a bygone era to a special place in your home with this fabulous antique partners pedestal desk. 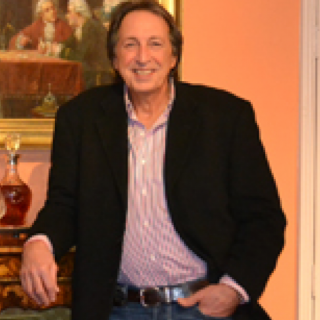 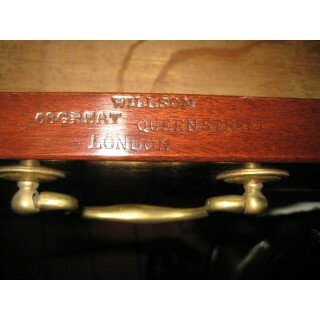 Thomas Willson’s name is entered in directories as a furniture broker and appraiser of 68 Great Queen Street, London, England, between 1821 and 1829. 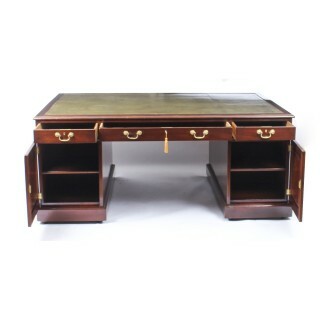 Mary Willson and her son Matthew continued the business from 1830 – 1837. 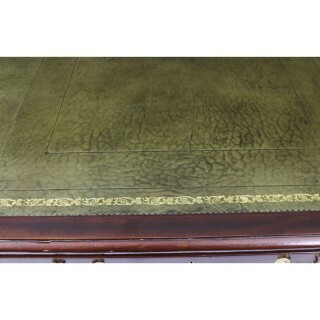 In 1838 Matthew Willson started a separate business operating as a furniture warehouse, furniture works and upholstery business. 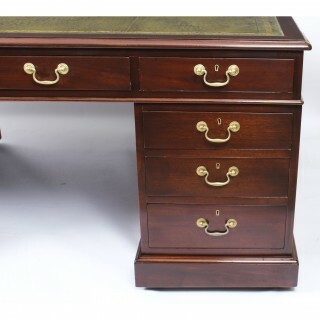 The firm was established in 1818 and contrary to popular belief, they were cabinet makers as well as a furniture brokers: ‘Thomas Willson & Co. 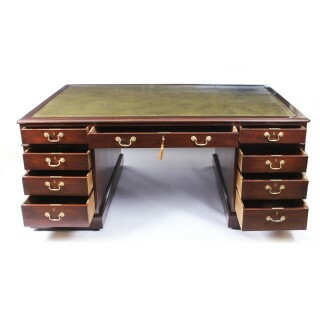 Cabinet Maker and Upholsterer, 68 Great Queen Street, Lincoln’s Inn Fields, London.’ Every article of furniture for the Drawing, Dining, Bed Room and Library of first-class make.